Elon Musk is one of the most famous people alive at this point – an outstanding human who gives hope that the world could be a better place. 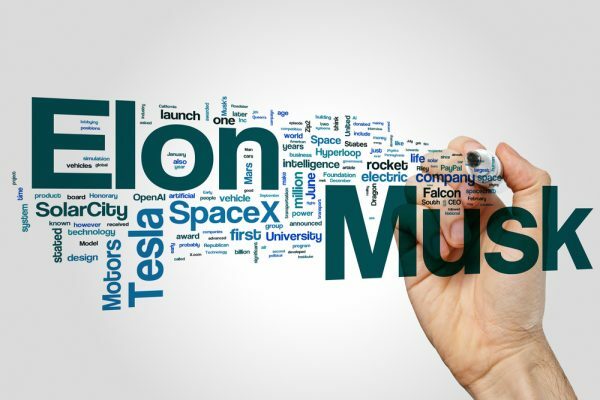 Elon Musk is trying to pave the way for a better future through his amazing inventions and capability to innovate every day. Musk is not only an inspiring person to learn from but a very good businessman as well. And, he has the best advice to offer to the investors and people who want to grow professionally too. He is a very organized person who likes to get things done and has no mercy for minor complaints. He became famous for his major investment of soul and money in companies like PayPal, Tesla, and SpaceX. Besides, he is also popular for his unconventional style of management and a unique way to solve problems. He is on a mission to save the world and strongly believes that if we could find the ways to colonize other planets, we have a chance to save humankind from itself. While this is really a beautiful thing to hear and a ray of hope in this more and more crazy world we live in, Elon Musk is also an exemplary businessman for making money and succeeding. We could all gain a little bit of inspiration from one of the greatest men alive through the best quotes he said in various interviews or articles. Let’s get inspired by Elon Musk and his awesome tips on how to be better at what you do. Elon Musk believes that you should do what you are really passionate about, even if it seems you will fail. He is a firm believer that each one of us has a talent can be fulfilled only if we’re ready to go all in and give our 100% to that passion. He is himself very dedicated to his work and spends on an average 12 hours at Tesla and SpaceX offices. He doesn’t even have days off and works harder and harder every day to fulfill his mission and make it possible for everyone to fly into space. Elon Musk, just like other successful people, believes that positive thinking can go a long way and we can control our mindset to achieve great things. He gives a tip through this quote and that is to think positively and believe you actually have the power to change something in your life and around you. You should also believe that you can only do it if you start with a positive mindset. Follow Elon Musk’s example and start your mornings with a good thought in your mind – it will be easier to power through the day and solve even those tasks that seem unsolvable. Another quote that supports Elon Musk’s beliefs that a positive mindset can actually help you change the things you see are not moving forward. As said earlier, the mission of Musk is to colonize other planets to give mankind a chance at salvation and to become a multi-planet species and evolve. He strongly feels that all people should look in the same direction and have the same goal which is flying among stars and taking over the universe once and for all. All his efforts at SpaceX are based on this passion of his and he doesn’t show any signs of stopping now. This is a quote about innovation, one of the things Elon Musk appreciates the most in businessmen and not only. He feels that innovation is the only thing that will help us evolve as a human species and go further than we have ever dreamed was possible. He has many role models, like Henry Ford, who were true innovators in their lifetimes. Elon Musk is one of the greatest men alive because he is one of the craziest, great innovators who will see obstacles as a chance to learn something new and improve the product he is delivering. We should all think more like Elon Musk and, instead of fearing change, embracing it and trying to create a better future out of it. Innovation is not only about bringing something new to the table but bringing something new that could improve the quality of life we have here on Earth or that could push us even further as humans. This is truly one of the best quotes by Elon Musk and one of the most inspiring sayings we have today. Let this quote guide you in your greatness and give you confidence that you, like everyone else, have a choice to make – it’s up to you if you want to be ordinary or extraordinary. Becoming extraordinary is a matter of choice, and involves a lot of sweat and extra miles you ought to make to get there, but the journey is worth it and you have it in you. We all have it inside, and that’s what Musk thinks and he may be on to something. So, when you wake up tomorrow morning, believe you can be extraordinary and take on that challenge, work harder and you will become the best version of yourself. Elon Musk has the power to inspire people with his passion for changing the future. These quotes show how much of a visionary he is and we should all learn to perceive things more like him. Believe it, we can change the future!